The Israelite Tribe of Simeon (R1b DF 27 ydna) was settled in the south of Israel and after the Babylonian Exile around 460 BC (586 BC in the Accepted Chronology of modern Academia). They settled in Spain and southern France. The lands of Simeon in the south of the Holy Land (Negev) had become part of the Kingdom of Judah from the time of King Hezekiah of Judah when the other Israelites in the north had been taken into exile by the Assyrians around 600 BC (or 721 BC in the Accepted chronology). 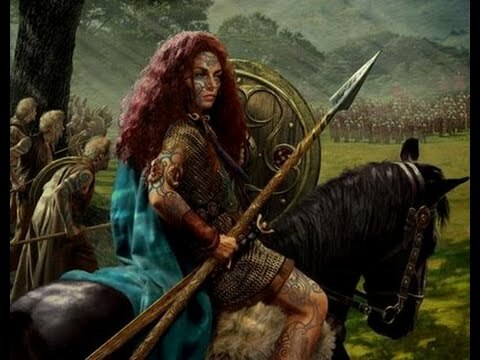 The Tribe of Simeon and the Celtic Tribe of Reuben (R1b U152) started to clash after 400 BC when the Reubenite Celts moved from their base in Central Europe into the southern areas. 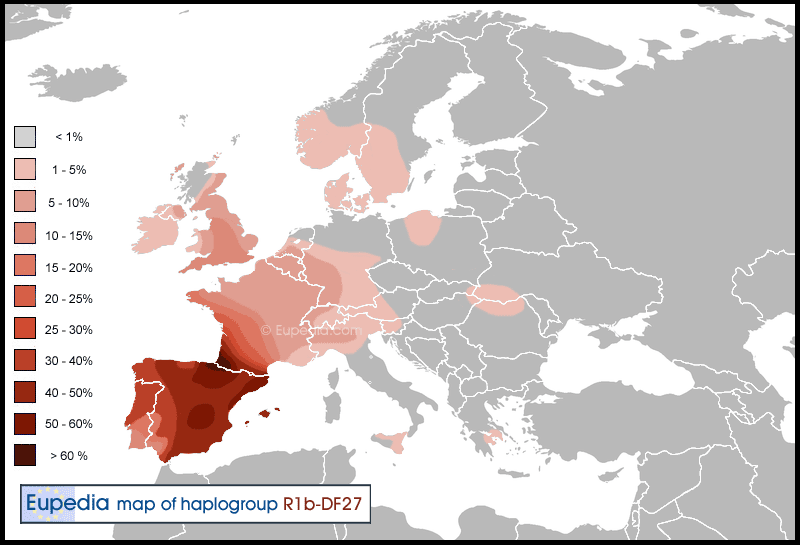 The Beaker Folk of R1b L21 of the Davidic House of Nathan (Milesians) around 300 BC invaded northwestern Spain. The Reubenite Celts were descended from two groups that rejoined together in Central Europe. The Trojan Reubenites (R1b U152 ZZ45) moved to central Europe and the west from Finland after 690 BC and the Israelite Reubenites (R1b U152 L2) entered Europe from the East after 460 BC. U152 Z56 is most likely the Rhadanite branch of the Tribe of Reuben. The Trojan Reubenites may be descended from the clan of Hanoch, the Israelite Reubenites from the clan of Pallu. The Rhadanite Reubenites most likely are from the clan of Carmi. These Reubenites clans reunited in Europe and were the core population of the Celts and the later Franks. These Reubenites clashed with and inter-reacted with the Tribe of Zebulon (U106) in the north western part of Europe. The Danaan or Hellenes (from the Elonite clan) of the Iliad were from the Tribe of Zebulon as were the later Frisians and Germans. Another Zebulonite clan (R1b L238) entered Europe from Israel with the Pallu Reubenites. All these clashing clans were descendants of Jacob and Leah of Israel. 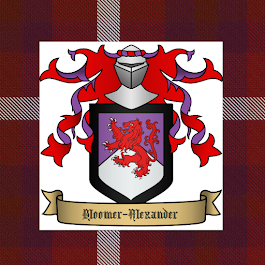 They were later joined by the Saxons (Sacae) from the Tribe of Issachar (R1b DF19). It is also possible that R1b ZZ337 ydna is a clan of Levi that remained among the northern Israelites. It would seem that the inheritance of the Leahite Tribes of Israel was in western Europe and the Ephraimite Tribe of Joseph in Eastern Europe (R1a Z283). Is God finished with sifting out the Tribes or will we see further movements of peoples that will lead to the regathering of all Israel? These Tribes also encountered the Assir (later called Vikings) of I1 ydna in the northern parts of Europe. These Assir were part of a Ishamelite kingdom of Assir that stretched from the Russian Steppes to northern Germany and France. Some of the Assir known as the Royal Assyrians conquered parts of the Midde East that became the Assyrian Empire. After the defeat of Assyria the Royal Assyrians returned as the Sarmatians (I2 ydna) to Europe. The Massa clan of Ishmael established their Assir kingdom sometime after 950 BC. Note: The reason the maps show the ydna of the 19th century is because most of the data of location is based on the location of modern day testers ancestors in the 19th or earlier centuries rather than where the testers live today. 1. 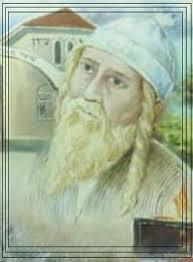 You wrote that Meir Duach (Rabbi Meir / Raibh Dearg) was a descendant of Joseph of Arimathea. But his Y DNA descendants are J2, and Joseph R1b. 2. I believe that this YDNA that you identify with Ruben or Zebulon, may be Davidic-Judah, and come from other people (from Davidic clan) than Joseph of Arimathea. 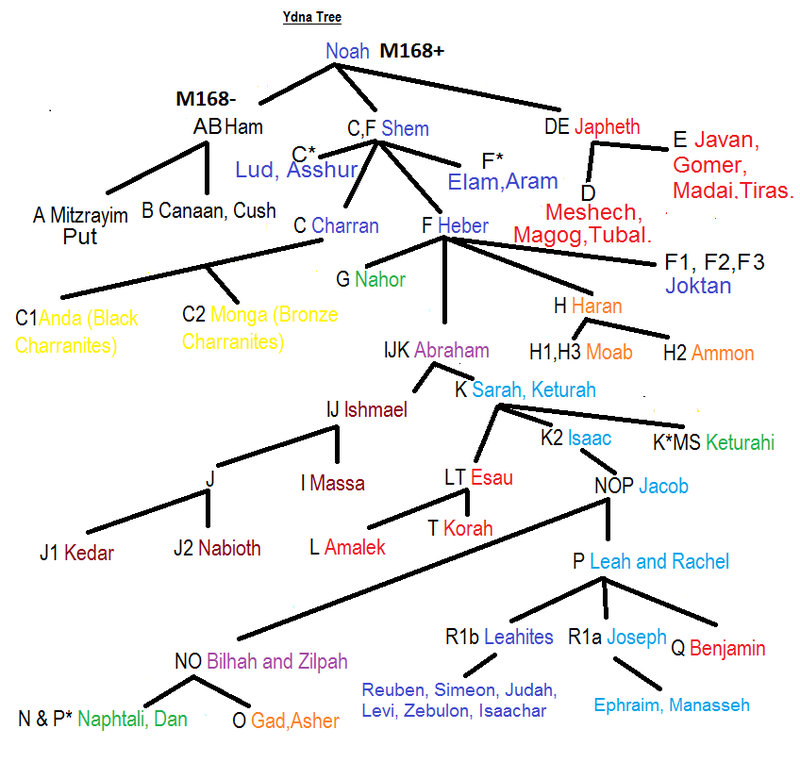 After all, all Leahites should have twin Y-DNA as descendants of the same parents, or so little changed (as you show) that I think dividing their DNA into different tribes is exaggerated. I mean, a person who has genes recognized as Levi might actually be from Judah, and vice versa, Judah instead of Zebulon / Reuben. 3. 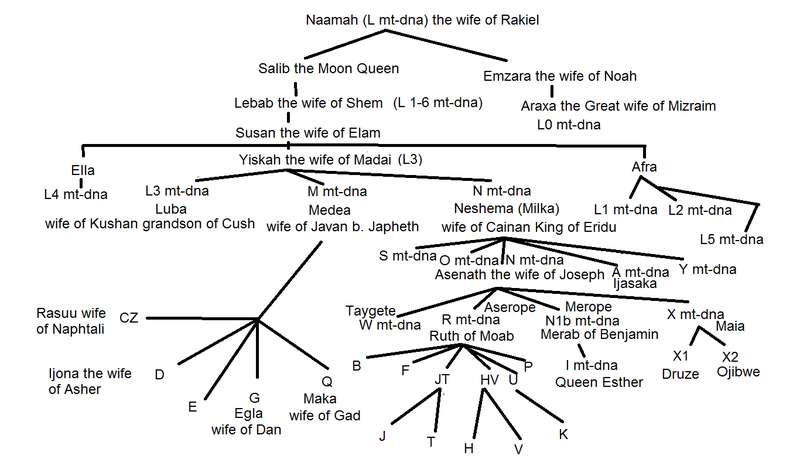 I believe E-YDNA is semitic/or/ Mitzrayim and Caananite or mix semitic and Hamite. Thanks David you make some interesting points. I am only talking about the direct male line not any mixes as such. I believe that E comes from the Javanites of Japheth on the direct male line. They certainly especially in the early stages intermarried with the descendants of Ham and Shem. As it is still early days in genetic research I may turn out to be wrong in my interpretation of the evidence. I take into account the evidence of both the modern dna and its locations as well as the evidence of ancient dna testing to come to my conclusions. 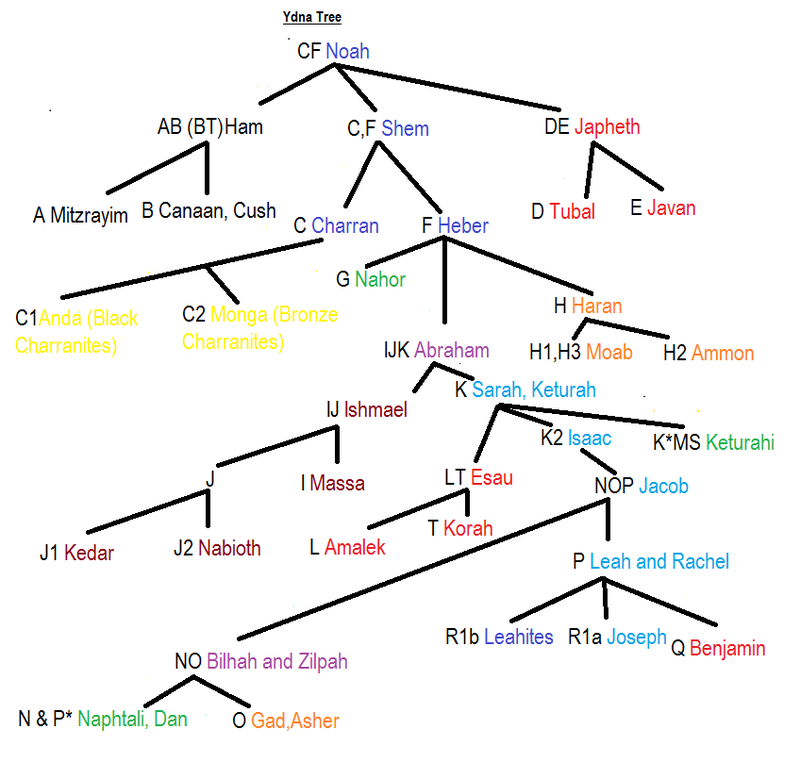 In regard to Davidic clans it is indeed possible for them to be found in diverse groups as Davidic status can pass through a female ancestress such as the Davidic family of Hillel and Gamaliel which were from the Tribe of Benjamin paternally but considered Davidic through a female of the Davidic line. Also if one married a non-israelite who converted then they would take the tribal status of their mother even though their ydna would be non-israelite in origin.